Our love affair with the Nashville Skyline continues this week at the FYM Seattle HQ -As we recently discovered another impressive up and coming posse of talent straight out of Music City called Colorfeels. 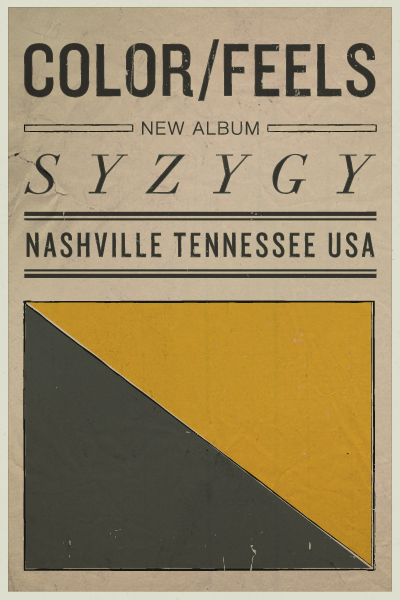 Earlier this year, the group self-released their debut record titled Syzygy (Album Artwork Pictured Directly Below). The band is yet another example of musicians successfully using the fund-raising platform of Kickstarter.com to achieve their creative financial needs. The album itself is an expansive 12-track exploration of harmonious roots-filled sonic wonderment. It's spaced-out Nashville rock for digital hippies, psych-fans, and folkies alike. The Colorfeels crew also happen to be pretty impressive web-designers. 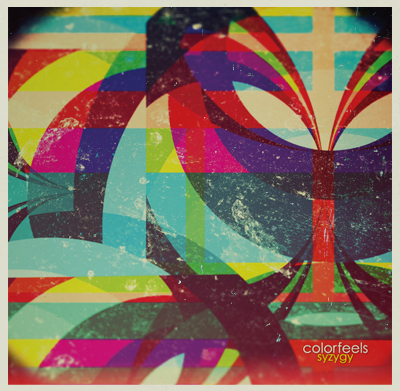 For more information on the band, be sure to check out their very well designed website- http://www.colorfeels.com/. Our favorite aspect of the site is the mind-bending '360º Colorfield' Photo environment -it's a user friendly interactive space that allows fans to explore the dizzying world of Colorfeels in the woods (with a few hidden easter eggs peppered about). 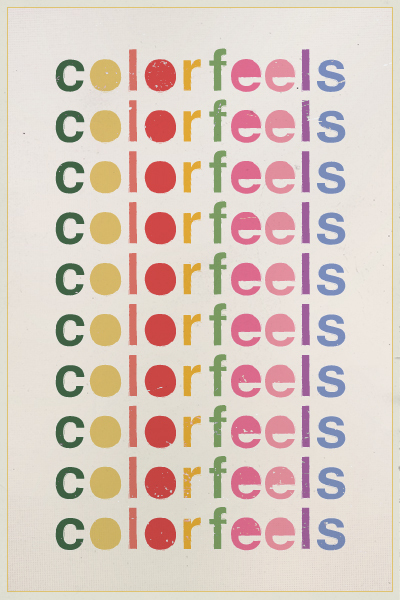 If you live in the Nashville area be sure to check out Colorfeels live this Friday November 4th, 2011 -playing a benefit concert in the 1925 Hall at The Belcourt. Cheers, FYM.